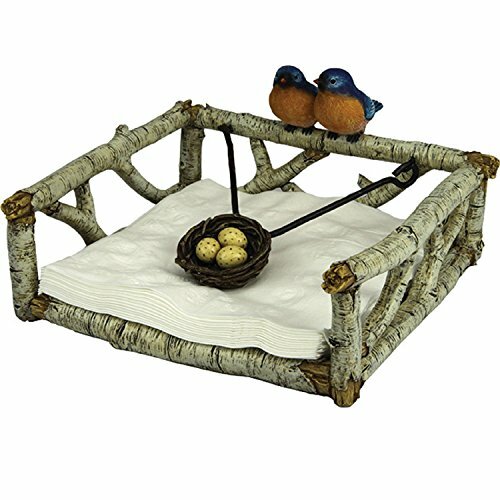 Rivers edge Blue bird napkin holder is beautifully hand painted on our durable poly resin material. This holder is the perfect edition for the outdoor enthusiast, but truly will go beautifully with any home or cabin decor. View More In Napkin Holders.